Location, location, location! 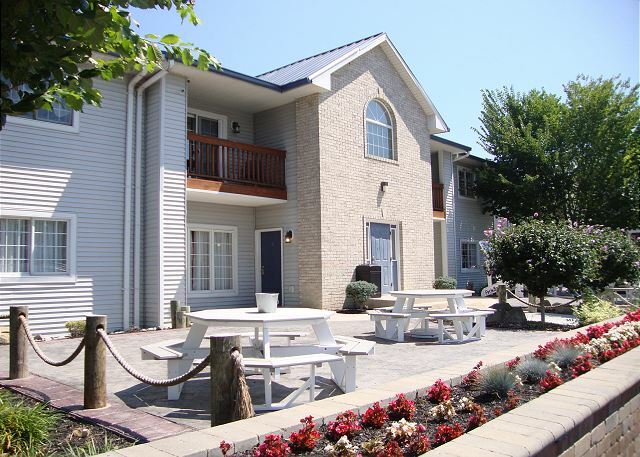 This lovely unit resides on over 500 feet of prime Lake Erie real estate. 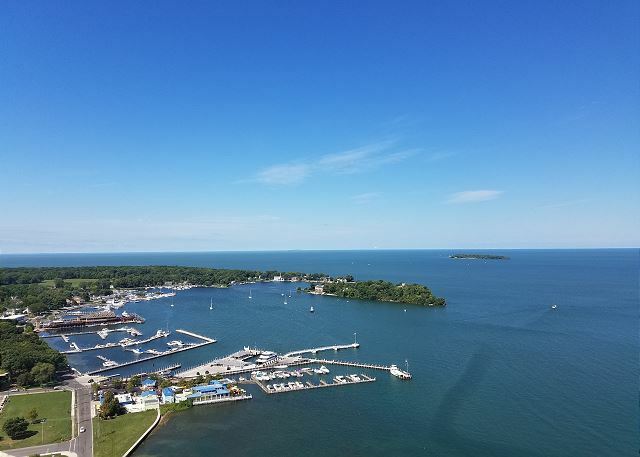 There are no other rentals on Put-in-Bay with such an impressive and expansive view. Just a mile from downtown. There are two bedrooms and two full baths, with a capacity of up to eight guests. Guests gain access to the condo through a coded door lock. This is very convenient, as keys are eliminated from the equation. Once inside, the combined kitchen, living and dining areas are the first encountered. 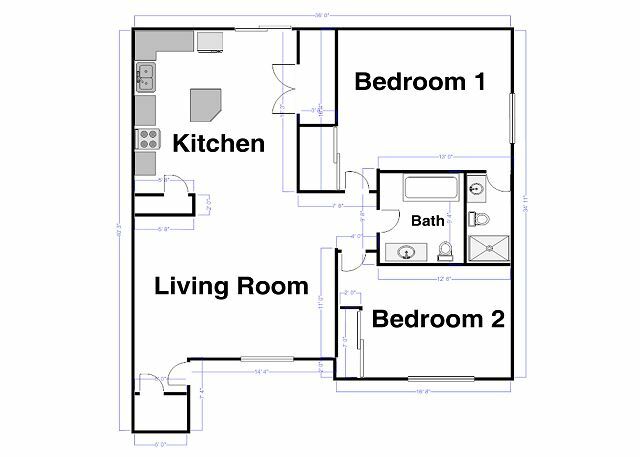 The open floor plan, complete with kitchen island, makes this unit excellent for entertaining. These areas have ceramic tile flooring; great for easy clean-up. The kitchen comes capable of satisfying the cook of your group. Whip up a hearty breakfast or delectable dinner, all while saving some money during your Put-in-Bay vacation. Outside this unit is a brick patio with propane grill and a lakefront pool. 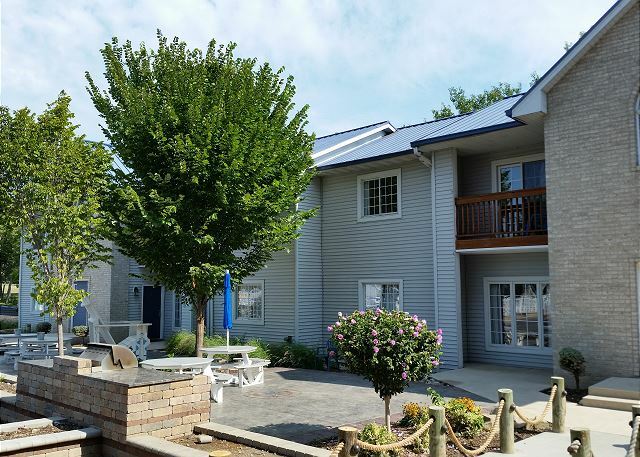 The Put-in-Bay Poolview Condos are the best choice for your next trip to the Lake Erie Islands. With a location that cannot be beat and updated accommodations, the time is now to book your excursion. We sell out on many dates, so doing so early will ensure your dates are available. "Clean but in need of TLC"
"The 2 BR condo was a nice place to stay. We enjoyed our stay. 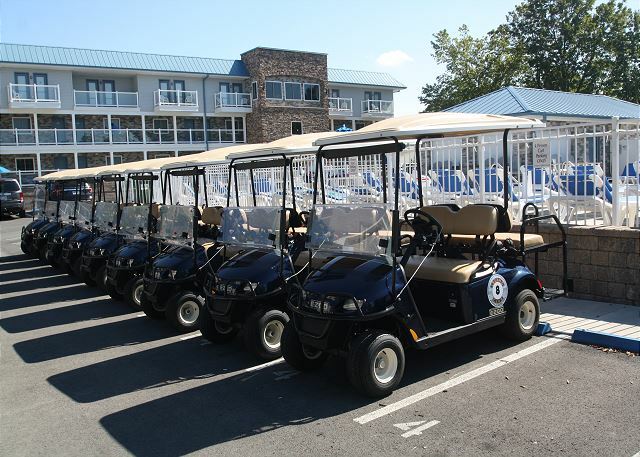 Good location and nice to be able to rent golf cart on site. " "We had a great time. This location was perfect! Not too far from town and it was so much fun to sit outside our condo at night and chat with the neighbors as well. I would recommened this to anyone who just wants to get away for the weekend or if you are having any kind of party (bachelorette trip, anniversary, or just getting out of town). I wouldn't necessarily recommend bringing kids during the weekend because this is more of a party island. " "Fantastic Staff, great location, always a good experience!" "The condo was very clean and modern. The condo was very clean, modern and spacious. The pool was nice but at this time of year too cold to actually swim. Our golf cart was there waiting for us and staff was nice and helpful. You need to bring sheets and towels including for the kitchen. It is not walking distance to town so a golf cart is recommended. We had a very nice stay. "Condos were nice, but worn for being new. We would not recommend staying on the bottom floor. The guests staying above us moved furnishings across the floor most of the night, very frustrating. The pool is beautiful and the chairs are very nice by the pool. The surroundings are nice, but the lake side is for viewing only." "Nice amentities and very spacious. Grilling outside was a big plus!" "We enjoyed our condo. It was clean and had plenty of room for our girls' trip. The pool was spacious for our needs, had plenty of deck chairs and lounges, and we enjoyed swimming in clean water. Doty attended to our call when we needed new batteries for the smoke detector and also took care of us when we requested a golf cart. There were plenty of activities to keep us busy on the island. The only suggestion I would make would be to design a path to the lake and upgrade the dock/pier. But that could still be in the plan since it looked as if grass was planted and things were still under construction along the side and back at the lake. Overall we had a great stay!" "Had a great weekend. Couldnt have picked a nicer place to stay"
"I have been very happy with the Island Club since first using them in 2012. This year we had a problem with the air conditioner the first night, and early morning email resulted in a service technician being there at 8 am when we were leaving for the day's activities, problem was solved when we returned for lunch. Nice people and a nice place to stay. " "Great relaxing weekend with some friends. Ac did not work. Though we hung out at the pool. " "Condo was nice but not the cleanest. The microwave door was broken and duct taped on. The closet door in one of the bedrooms was off. The handles on a couple of the cupboards were broken. The floors were not freshly mopped. The seat in the master shower had a large crack in it and dirty. Many of the pots and pans were greasy and dirty and we had to wash them before we used them. In the list of items to bring you should list: hand soap, dish soap and dishwasher detergent, and extra toilet paper, along with the sheets and towels. We had eight people and were given 2 rolls of toilet paper for the entire weekend. Tony was very helpful and accommodating. For the cost of this condo, I guess we just expected more." "Condo #3 -Nice unit but needed some attention to be worth what we paid per night. No Pool, under construction, lots of construction noise and staff. I didn't see that mentioned on website when I made reservations. We were given a free golf cart due to the construction which was very nice. Main light was out in Kitchen, reported first day but never was fixed. Microwave handle was held together with duck tape. Tile floors needed a good professional cleaning. We had to mop first thing. I would recommend a fence between the condo and the neighbors property and hair dryers in the bathroom. Needs a little attention. " "Condo was pretty beat up. Lots of missing lightbulbs inside and outside - which was very dangerous considering the construction. We had to ask 4 times for propane for the grill. Outside was very dangerous. I would not return until construction was complete. Parking lot was full of debris and not lit. We had a hard time even finding how to get to the condo. No signs at all. We could see it, we just couldn't believe we had to park in the middle of construction vehicles. The construction workers were very nice people and more helpful than the management company." 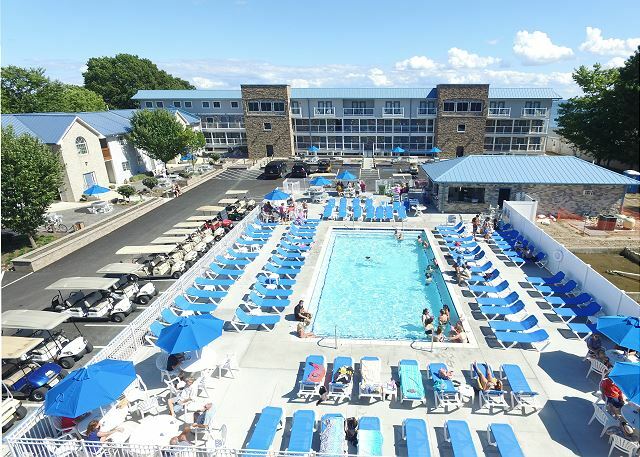 "The property site was currently under major renovation, so the pool was completely gone at the time of our visit. Location is 5 minutes from the heart of town, bar and restaurants. I would recommend bringing car over on ferry, parking at condo, then rent a golf cart for easy access around town. Our condo did sleep 10 people, however, its a 2 bedroom with 2 beds in each room, plus a pull out couch. Great for groups, not the best set up for more than 3 couples. Bachelor or bachelorette pary easy 10 people." "The condo was fairly clean, and close to what was described. The condo needs signs from the road so you can find it, we drove around and happened to see it.the location was OK, the only problem we had was everyday the construction crew came around 7:3 0 and worked all day. It was loud and very dusty"
"It would be nice to have a few more cleaning options such as paper towels and cleaner. We had a spill and had to ration the use of paper towels because we used them to clean up the spill. Therefore when it came time to clean before we left, we had no paper towels to assist in the process. " "The condo was clean, quiet, and comfortable. Upon arrival, we had no paper towels, dishwasher soap, dish detergent. I called the office, and within 10 minutes, the supplies were delivered. The only thing I can think of to make the stay better would be permanently installed park-type benches beside the water. Our condo had no lawn chairs. When we asked our "neighbors" to borrow theirs, they refused. I missed relaxing outside by the lake. I will stay here again in the future. "My family had 6 of the 8 Condos from 7/26-7/30. 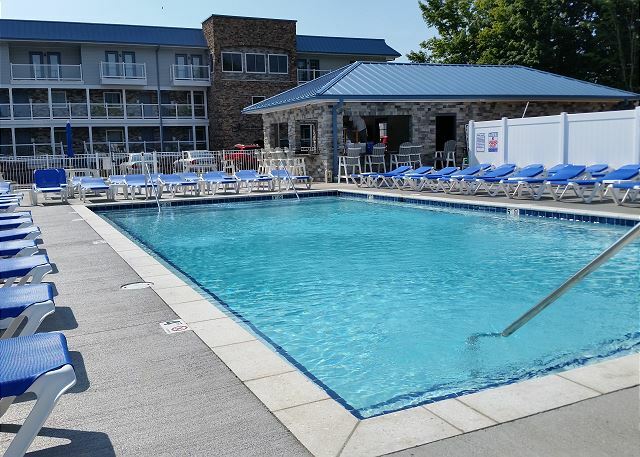 Liked the location, quiet and away from downtown, on the water with pier, overall decent pool basically to ourselves and nice outdoor patio area and lawn space for family games. Was very upset that a group of local workers came down to the beach/pier one evening for a 'work party and campfire'. We were told they had permission and this was their 4th year at this location. Our family/group was very uncomfortable with this and I expressed our displeasure. We actually cooked s'mores on our grills as we were told campfires were not allowed and yet this group of strangers utilized the property/pier that we were paying for, and had a fire. There were no problems that occurred from the group and the 2 guys that I spoke with were very nice, but still this should not have been allowed." "This place was great! About 1 mile from the Miller Ferry and 2 from the Main strip. It was really clean and the grill & patio was perfect. 24-hour Security too! A bit expensive but worth it!" "Very happy with everything! A sign at the road and again at the drive would have been helpful. Staff was wonderful! Will definitely stay again!!" "This place was perfect to stay with a group of friends. Having a kitchen was a plus, and there was plenty of space for all of us. We loved the outdoor space and seating. Having a taxi that could come and get you was also very convenient. " 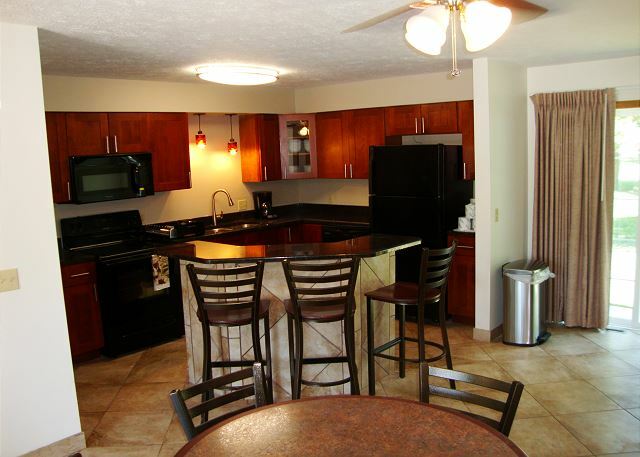 "Condo was clean, lots of amenities like a full kitchen, grill, and pool. Walking distance to the lake with great fishing. 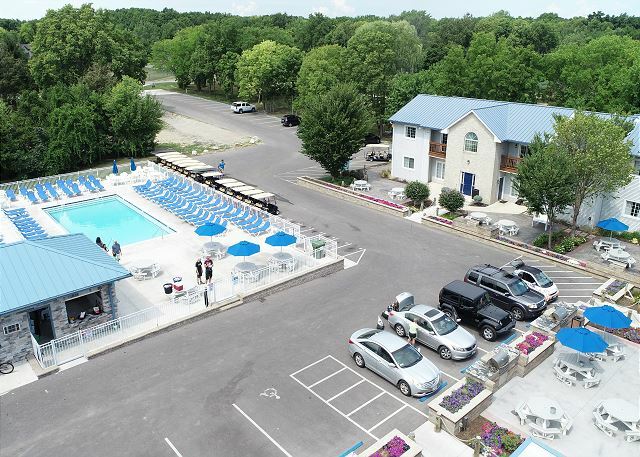 Was not in town so very quiet and great for kids but you need a car or golf cart to get to the center of town (not walking distance) but plenty of parking on the grounds and they do rent golf carts. " "As always, A very nice stay and great vacation." 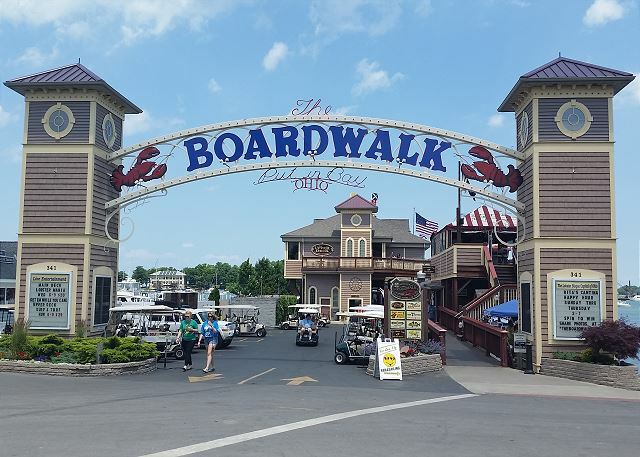 "Another fantastic experience at the Put-In-Bay condos. The best play on the island for fisherman to stay without a doubt. Clean rooms and good parking. Thanks again Island club crew for a great experience!" "Had a great time at the condo. Beautiful area so close to the lake. Had an amazing sunrise one morning! The condo was really cute but the floors were filthy. We had to vacumn up the spiders and flyers in the window ledges and the pool was so full of buds we could not use it or the chairs by the pool. It could have been a great place." "The condo was a great location for a week away! We enjoyed the location as it was just a quick drive to town but we were also able to walk to the shoreline to see the water. Would definitely recommend to a friend!" "Property was mostly well maintained. Our unit did have a baseboard tile off the wall in kitchen but it was in closet so I assumed it was to be reinstalled soon. If that is a tornado shelter by Unit 3, it needs help. We had a watch and when one of our party checked it out, it was full of water. Furniture was adequate and we understand that wear and tear is pretty severe at a beach or water resort so we were happy with it tho units are very drab. I would recommend this site though. Location is wonderful since it is on the lake. Pool looks nice but weather was not good for us. The personnel, including cart guys were wonderful. Jerry and Tracy, in the office, were so helpful, personable, and answered all inquiries really fast. Dottie was great, too. Am impressed with Island Club Rental. We got around to quite a bit. Highlights were numerous: Visitors Center for Perry Monument, nature Center on Meecham, State Park and glacial grooves, eagle's nest on Terwilliger's Pond, Frosty's (I am a Stone Lab alum! ), Mojito Bay(! ), Heinemann's, lecture on geology at Town Hall, The Goat! Lots of stuff to do "after season". Would have done more but weather was bad for half our stay; but we did park the carts Wed. afternoon and used the cars. " "This is the second time that I have stayed there. I like the location and the Island Club Staff. There were a few issues with maintenance this trip but a phone call was made and the issues were resolved. I will stay ther again." "Overall, I would give your condos an excellent review. The location was perfect-near the lake with a pool and far enough away from the night life for a family vacation! The only complaint was the lack of WI FI. With a family of professionsl, we needed to have WI Fi connections. Definitely would return." "It was a lovely location by the water. Beautiful flowers all around the outside.Just some minor maintenance issues, but maintenance promptly came out to take care of it." "Our group had four adults a 2 year old and one year old. Good family location. Building both interior and exterior was very nice. Great modern appliances and furniture. Only drawbacks were noise of people walking upstairs, didn't hear back about cart rental and hard to find (no street or complex signs). Overall would recommend." 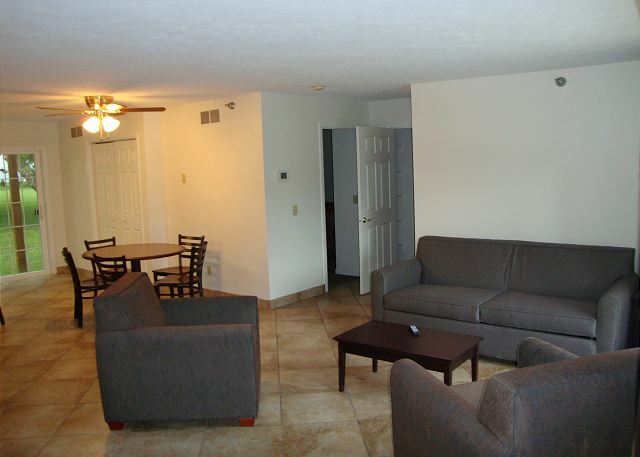 "Condo was very clean and comfortable. Pool looked very nice, but weather was too chilly to swim. Location was great as long as you had a golf cart. Would have been great getaway without 2 days of rain!" "I rented this for a bachelorette party and loved it! This was way nicer than any other places I looked at on the island. The staff were very friendly and accomadating!" 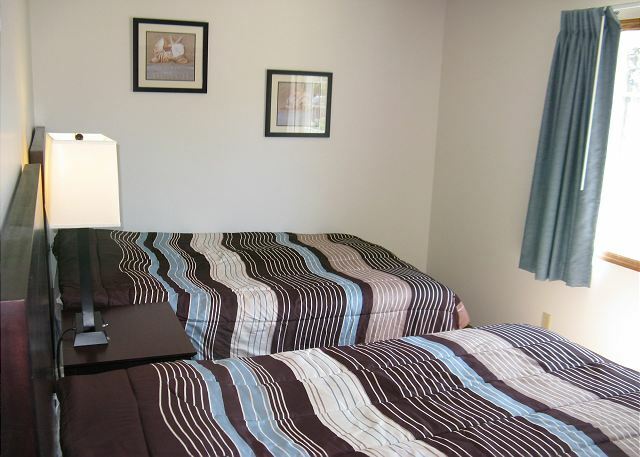 "Spent a few nights with another couple at this super clean, well-furnished, and quiet condo. Close enough to downtown (just a short bike ride away), but far enough away to have some down time." "The rental was in a great location and was very quiet. There were some minor concerns as we arrived the door to the washer and dryer were off the hinges and I replaced, the headboards to the beds were dusty and the grill dirty and hard to start. The pool on thursday had not been cleaned until about 3 pm. The staff were great we had a golf cart delivered to us and it was super. The staff we met and or spoke to were great. Hope we can stay there again next summer." "This place is great, nice, clean and good size condo. When you check in and missing any items such as extra bedding etc, they provide them promptly. " "I loved the condo itself. Having a full kitchen and washer/ dryer was famtastic. I felt the condo was very clean, and I love the outdoor cooking area. I did not like the water area there was old drywall ,old mattress and a lot of garbage along the edge of the water. I like the pool I just wish the grass surrounding the pool was cut down more. All in all we enjoyed our stay"
"My group and I were extremely impressed with this condo. It was modern and clean, and allowed us all to have a perfect vacation." "The condo was all one needs for a place to rest and get out of the rain. I was there late in April so not everything was up and running for the season which is the way it is, ie. satelite tv. The biggest concern for a fisherman is that there is no on site fish cleaning allowed. This requires you to travel a 1/2 mile to an outdoor fish cleaning table. No lights or roof so leave your rain gear on and bring a couple 5 gallon buckets and a head light if you need to clean fish after the sun goes down." "I will definitely recomend it to my friends"
"Went with 3 other couples, very comfortable for us all. 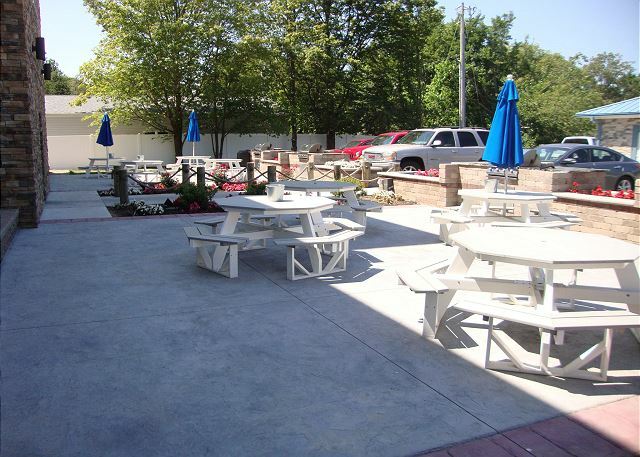 The staff responded promptly to all our needs when we got there." "the staff was very nice and helpful! the condo was very clean. one request would be to get more comfortable beds. we liked having the view of the lake." "Some cleanliness issues upon arrival. Stained bed cover and trash on floor and dirty kitchen utensils. Staff was attentive and professional and replaced bed cover quickly, we handled the rest. Overall a good stay." "Look exactly like the photo's." 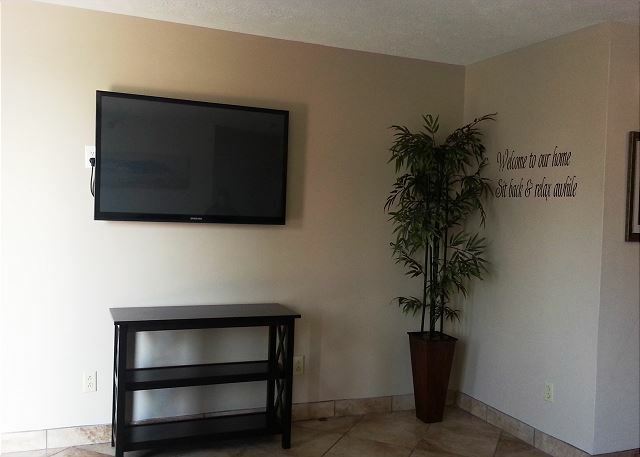 "It was a relaxing and pleasure stay at this Condo. Even through the cost was high for a two day stay but the location, convenience and stay was great and made my weekend a memorable one. It was next to the Lake so anytime you can go and sit around and relax "
"Condo was great once we found it! No street signs to find address, its a good job my hubby has a great sense of direction. Lovely place, we will return. Staff very nice and helpful." "Overall, a nice place to stay and great location. A few minor things that looked cheap/not well done: 1. No screens on the windows so you couldn't really open them and if you did, the bugs came in. 2. Looks like they put in new sprinkler heads for fire safety but left the open hole with wires on the ceiling where there used to be smoke detector. Could use a light by the grill for late night grilling. Overall, we really enjoyed ourselves." "The dock area could use ALOT of improvement. Also, it would have been better if the pool were heated. For these reasons we dont think we would plan a second stay." 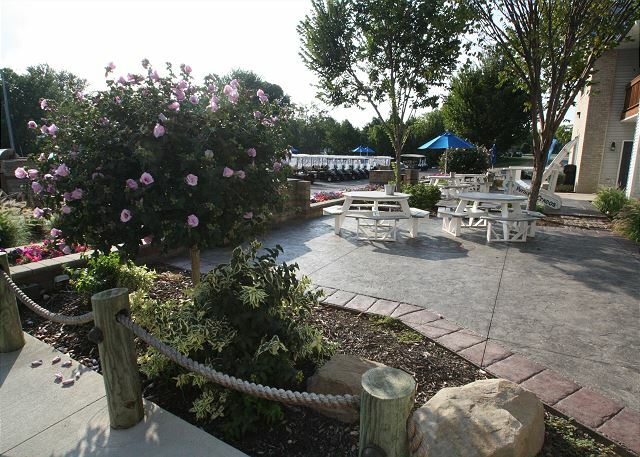 "I must say the folks at the Island club rentals go out of there way to make sure that you enjoy your stay! My friends and family have always booked with Island club rentals because you can expect the best and never be let down. From granite counter tops to spacious clean room's with island atmosphere and a private pool. It's like home away from home but on vacation. 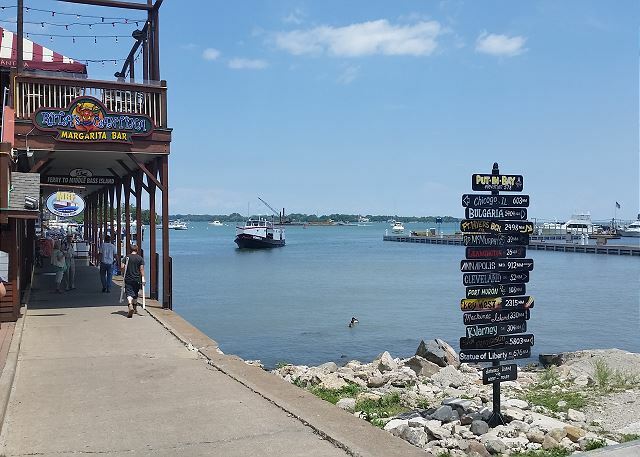 I would always recommend The Island Club when planning your next PIB vacation." "The TV in our unit was damaged and had lines going through the screen. The amount of channels was limited. No WiFi is an issue. The dishes in our unit were dirty and had to be rewashed upon arrival along with one of the bed spreads which had white stains on it. For the amount of money per night bed linens and towels, etc... should be provided. Spacially the unit was ok, but definitely was not worth the money. " 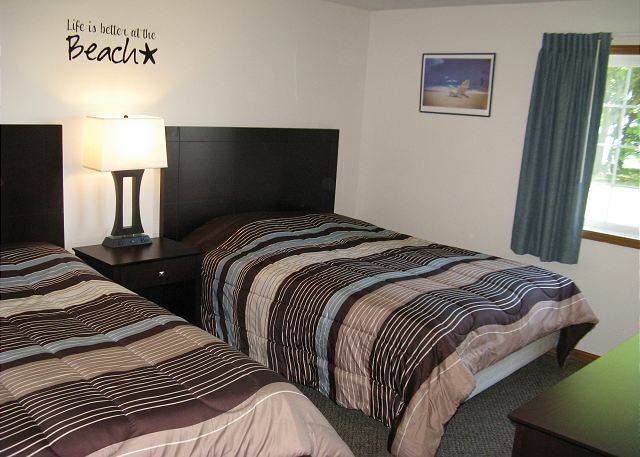 "We enjoyed our stay and would recommend this lodging location to others. We plan to return. VERY NICE CONDO - CLEAN and well equipped.The management was eager to please and accommodate. Thank you"
"The island was great the condo was very clean upon arrival. Would plan to stay there again!!" "We had a fantastic time. What a great change in the property! Updated and very nice! Fishing was great! Will return!" "Nice place to stay, right on the lake, great view. Clean rooms. " I just wanted to see if the security deposit was refundable. 1.Is there internet access? 2. Is location good for a 5 year old? 3. Are there condos on the first floor? 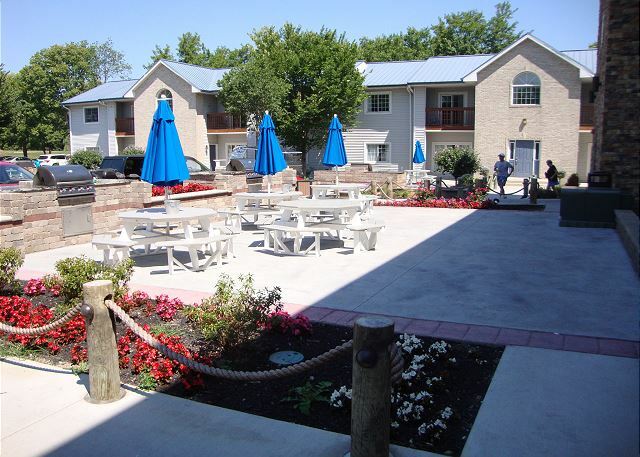 There is wifi in the Put-in-Bay Condos complex. Poolview Condo #3 is on the ground level. WHERE EXACTLY ARE THESE CONDOS LOCATED? 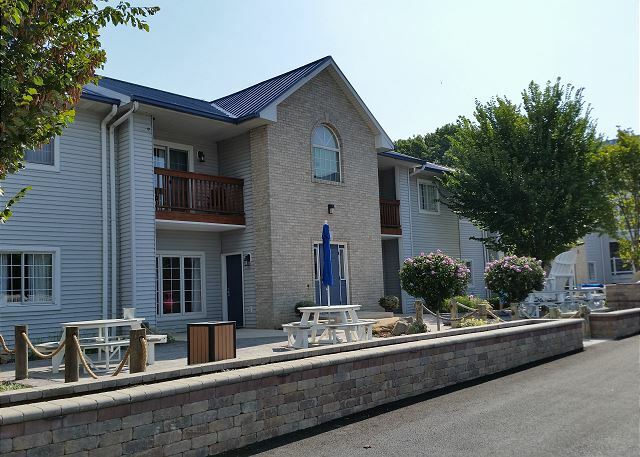 The Put-in-Bay Condos are located on the water next to the airport in the village of Put-in-Bay on an island called South Bass Island in Lake Erie. The closest mainland cities are Port Clinton and Sandusky, Ohio. What exactly is the "travel insurance" charge? Is that refunded? Once you purchase the travel insurance (which is optional), it can not be refunded. It asks for credit card to book, but it doesn't tell how much you have to pay for deposit. It just says you have pay in full 45 days before arrival. Can you break down the payments , please. The full pricing is shown on the right hand side of the screen on the BOOK NWO page, and shows the rental rate, taxes, refundable security deposit, and travel insurance (optional). Where do we pick up the keys. The door has a convenient electronic coded door lock, ending the difficulties with keys. You and your guests can access the unit at your leisure.